Residential Roofing Nashville: Is Your Flashing in Good Condition? It looks like we are going to dodge a winter storm bullet this week, as a winter storm passes north of us. However, this weather system will bring considerable rain to the Nashville area, and this could reveal weaknesses in your roof. In this week’s blog, we’ll take a closer look at what some of these weaknesses could be. We will focus on three types of flashing: general roof flashing, dead valleys, and roof boots. If you suspect you have inadequate flashing on your roof, call us for an inspection. 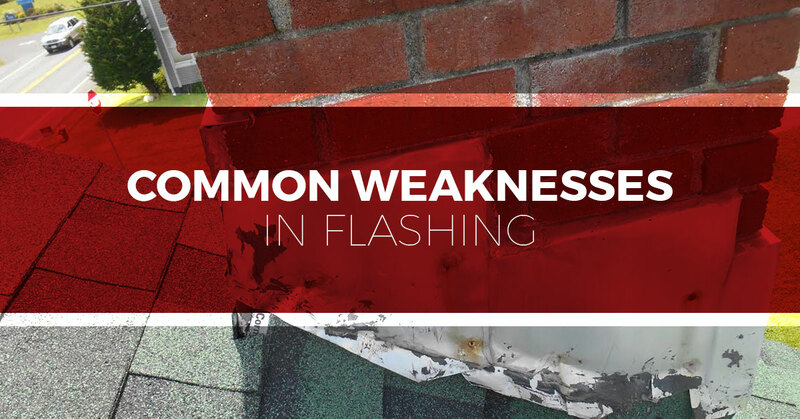 Flashing is something that most homeowners learn about only when it is missing or damaged. Flashing is the waterproof material and metal wrap that seals the edges of your roof. You should see it around a chimney, at the edge of eaves and where two structures meet, for example where your deck meets the house. We say “should” see it because often the flashing isn’t installed completely when a roof or deck is installed, or it has been damaged or blown away in a storm, and this went unnoticed. The function of flashing to keep water out of joints and when it is missing water can get into the joints and damage the wood, potentially culminating in extensive structural damage to your home. One good way to avoid damage from missing flashing is to visually inspect your roof, from the ground, after a storm that had strong winds. You should look around your yard as well, to see if you come across a piece of flashing. Flashing is easily replaced, but it is important to have it done well so that the layers below it are in good condition before replacing the flashing. A dead valley is where two planes of your roof intersect. One of these planes is the slanted roof, and the other is a vertical plane of the home or the chimney. These can be seen, for example, next to dormers. When the water coming off the slanted roof hits the vertical structure, the water bottlenecks and it will sit there because it doesn’t have proper channeling to take it down to the gutter system. When water sits in a dead valley, it will find its’ way between the layers of shingles and roofing material and then the solid roof decking, which is the plyboard that holds up the roofing materials. When this happens, you have a leak, and it could cause substantial damage before you even know it’s there. If this water is there during freezing temperatures, the water will expand and make any leak worse. This is known as an ice dam and can be very destructive to a roof. The dead valleys of a roof are frequently neglected by roofers. If roofers do anything, they might put just a few extra shingles there. This is an inadequate solution. When repairing damage from a dead valley, the first thing we figure out is how extensive the damage is. Has the water reached the roof decking? Has it reached the insulation? We will ascertain the level of damage and make repairs to the depth of the problem. When the roof is repaired up to the shingles, we will add a metal flashing to the area to channel the water out of the dead valley. Copper metal is effective, long lasting and attractive for this purpose. We will make sure that the water is channeled, not just away from the dead valley, but to a location that will take it to the gutter. If we have to build up the structure to make this easier, we’ll do it in an effective and attractive manner. When it comes to dead valleys, an ounce prevention is worth a pound of cure. A roof boot is a subset of roof flashing, but we think it is important enough to have it’s own category. Another name for a roof boot is pipe flashing. It is the rubber seal, often paired with metal flashing, that is used around a pipe that extends out of a roof. The function is to keep any and all water from getting into the roofing deck via the pipe. If the rubber has degraded or it was not properly installed, water can find its way in and cause a leak into the interior of the home. A roof boot is an inexpensive fix, but if it isn’t repaired in a timely fashion, it can lead to extensive and expensive damage. A good saying for this one is a stitch in time saves nine. If you doubt of your roof has adequate flashing in a dead valley, along any edges or around pipes or you can see a dead valley on your roof that is missing flashing, call Tim Leeper Roofing for an inspection.